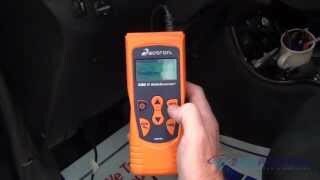 What causes a whining noise when accelerating? This is most noticeable when outside temperatures are lower. Only notice when accelerating. All of these things can make the noise but the most likely problem is the power steering pump. Here is a guide that help you see what you are in for when doing the job. I have a 2014 Lacrosse with 5,000 miles on it. Around 1,500 miles we started noticing a high pitched sound when accelerating. The sound is like a power steering unit bearing going out, but is not. I have taken it to the Buick dealership where it was purchased and they are telling me that this is normal. They also had the Buick rep ride the car and he also said that this was normal. I recently drove a different 2014 Lacrosse and did notice the sound at very low speeds (@5 to 10 miles an hour). The sound that I have is much loader than the 2014 I drove and the noise is consistent up to 30 miles an hour and can be noticed at higher speeds on quiet roads when letting off on the gas. I had the same issue which is why I initially Googled this awhile back. Took my car into my local mechanic and it ended up being my rack and pinion gear box was leaking. Now my car is quiet again! Repair cost on my 2010 Lacrosse total with labor was $884.36. My car makes a whining sound like an airplane taking off when I accelerate. It is now starting to make the noise when I coast too. It does not make the noise when I put the car in reverse. It is quite loud all of the time. Any thoughts what could be causing it? Thank you! My filter when plugged shifts great no noise, I love this site. Driver Side Back Wheel Sounds Like A Grinding Noise, Or Metal Clanking Sound When I Drive Over Bumps.